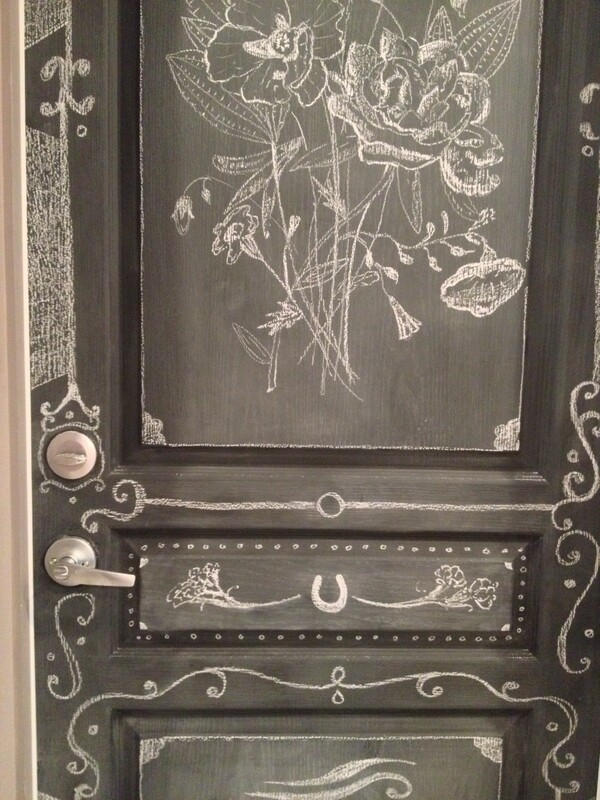 Did you know that when you have a fresh chalkboard you should prime it? If you don’t prime it and you draw on a fresh surface, you run the risk of having that image never coming off. If you don’t prime a board, even if you spend hours trying to clean off the art, there will still be a faint trace. I’ve seen it happen- it’s not pretty! 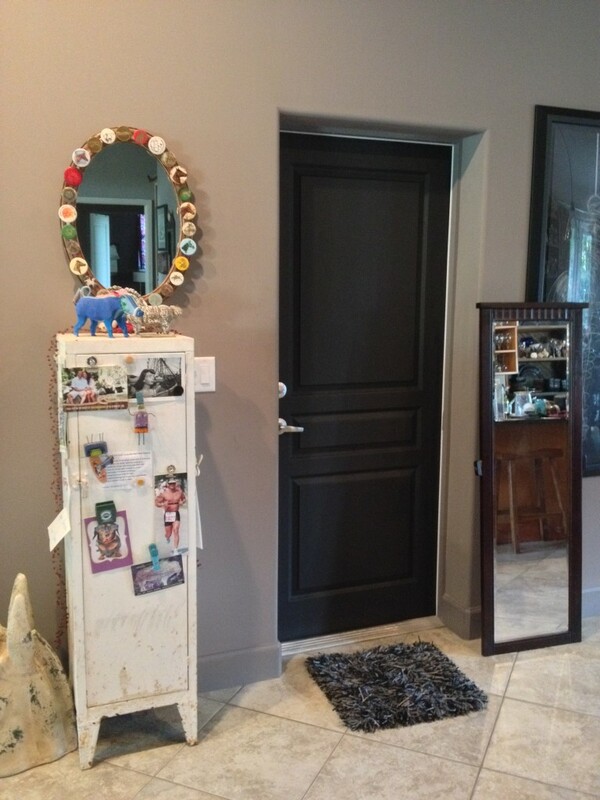 Priming a chalkboard is extremely easy and makes your surface look weathered. Some people call priming “seasoning” or other fancy terms, but it’s all the same thing. Step 1: Find or make your surface. 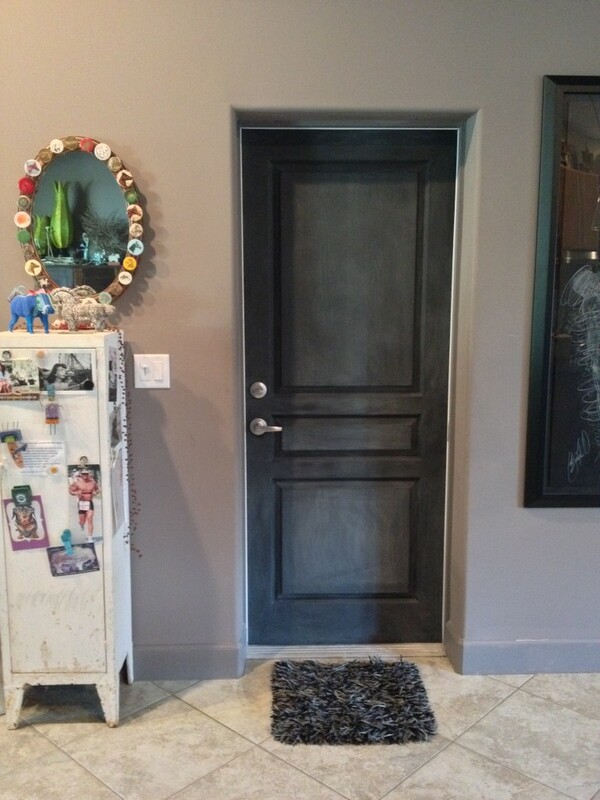 I painted this door with TWO coats of chalkboard paint. I tried to make my strokes even and clean and all in one direction. Step 2: Using the side of a piece of chalk (NOT the tip), cover the surface of your chalkboard. Originally, I was only going to do these rectangles on the door, but I ended up doing the whole thing. Seriously, cover the whole thing. 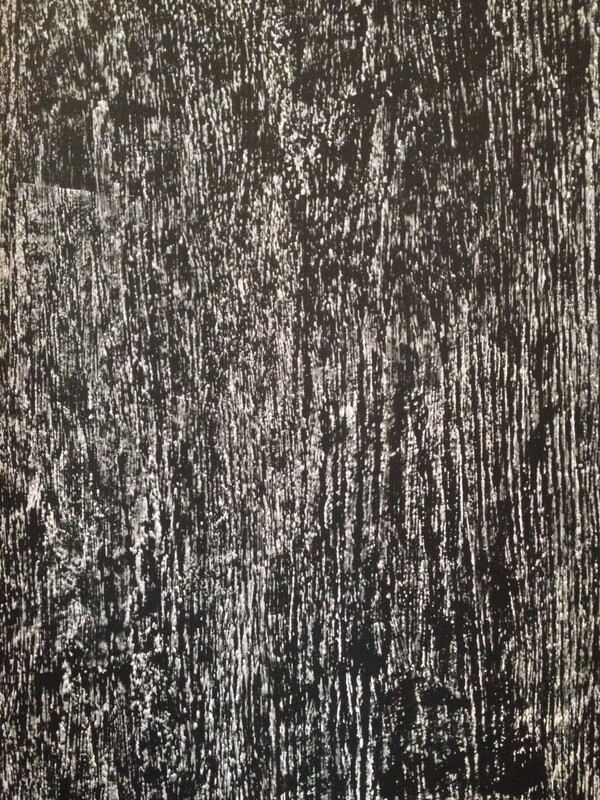 Detail of the covered surface. 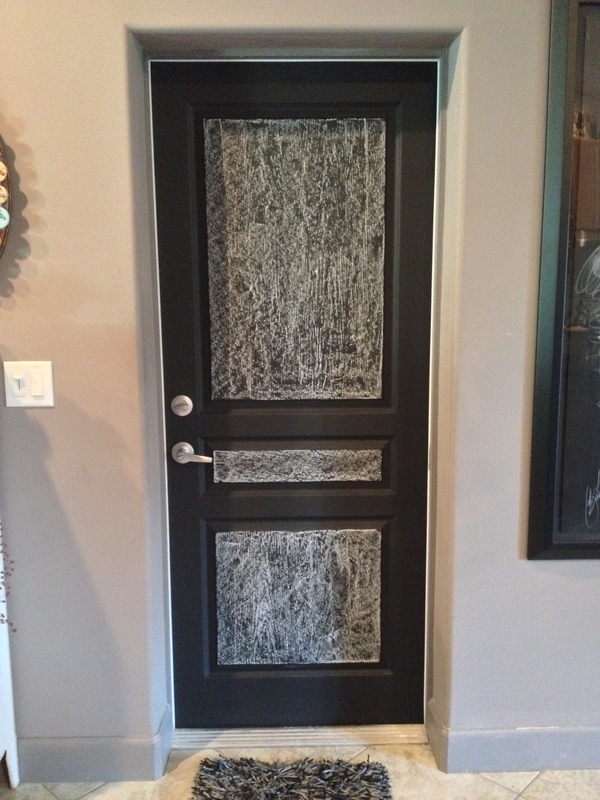 Step 3: Using a DRY, soft cloth, rub at all of the chalk you just put on the door. It will make the chalkboard look dusty, but that’s okay. I rubbed it in small, circular motions. The reason for doing this is you’re shoving chalk particles into the little crevices of the chalkboard, which prevents an image from “burning” into the board permanently, because there’s stuff already there. Step 4: Now you’re ready to draw! Your surface should look a little weathered, but that just adds to the charm of the media. Step 5: Decorate that chalkboard! This post was written by Georgia Chalk Artists Guild member Katie Bush. 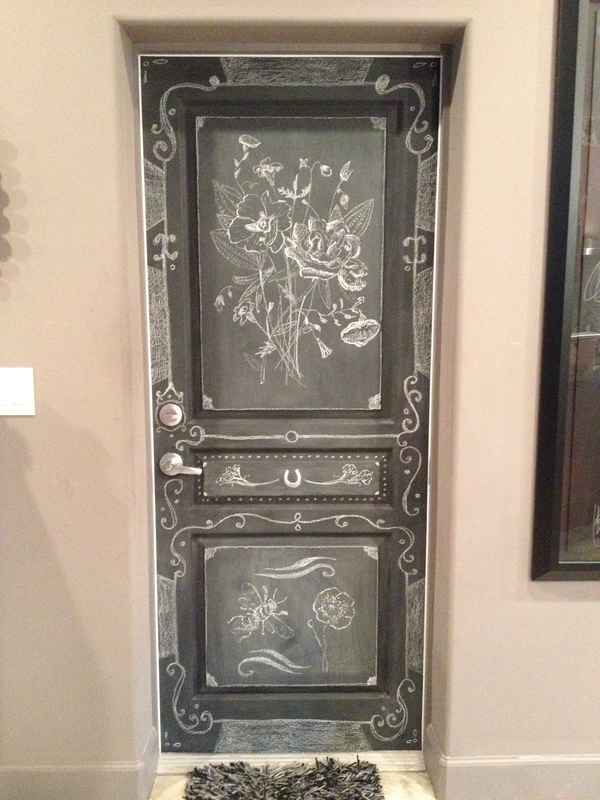 Click here to see her website and learn more about her chalk art!